The Carefree Way: Three mile trail run. yay for running. you live in a great spot for it. although those roads are kind-of dangerous. but i love running there. 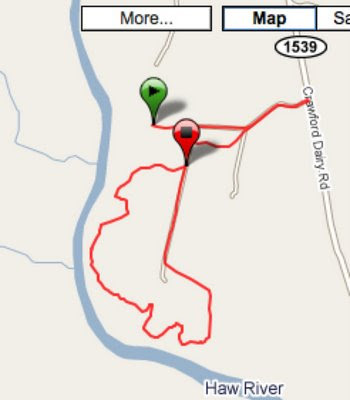 the garmin is the greatest invention in all of the world. i have the measly 205, so if you tire of your 405...please feel free to pass it along... ha ha only kidding, but seriously garmins are the BEST! I'm gonna try to remember to ski with the 405 on. They don't support the Mac (yet) for the 405, so I won't be able to upload stuff till I get back, tho.